Almstrom, Raymond P., 72, passed peacefully Friday (7/3/2015) at the Philip Hulitar Hospice Intake Center. Born in Braintree, MA, a son of the late William and Arlene (Whitcomb) Almstrom. He had lived in Johnston with his wife of 46 years Eleanor E. (Micielli) Almstrom. Mr. Almstron was a fund raiser for the Police Athletic leagues for Wayne, NJ and Vernon, NY. 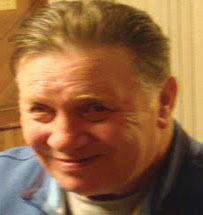 Besides his wife he leaves 2 sons, Raymond P. and Daniel M. Almstrom of Pawtucket, 2 daughters; Brenda L. Almstrom of Charlestown and Tina Marie Almstrom of North Providence, a brother, Frederick Almstrom of Woonsocket, a sister Donna Beaucage of Charlestown, 6 grandchildren and 4 great grandchildren. He was brother of the late William and Virginia Almstrom. His life will be celebrated with calling hours Tuesday, July 7, 2015, 4-7pm with a service to follow at 7:00pm in the Stapleton Family Funeral Home, 684 Park Avenue, Cranston, RI.